Acquisition is the engine that keeps the Quality Body of Knowledge (QBOK) growing. The QBOK seeks to provide the right outlets and appropriate levels of prestige and recognition so that contributors remain interested in generating new content. 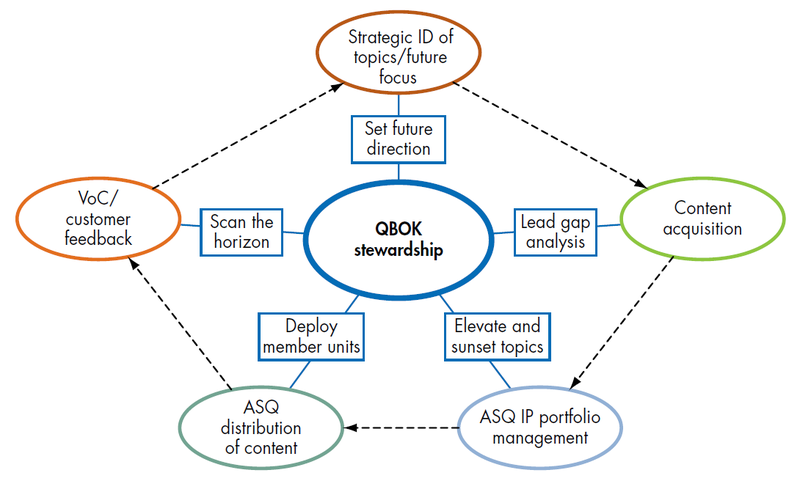 Since the QBOK is not limited to ASQ intellectual property, content developed by other organizations also can be acquired. Purpose: Provides support and guidelines for gathering and developing new quality knowledge to meet the prioritized needs of the quality community. What recruitment, acquisition, and development materials have worked for you? Send them to knowledgecenter@asq.org to be made available for sharing here. 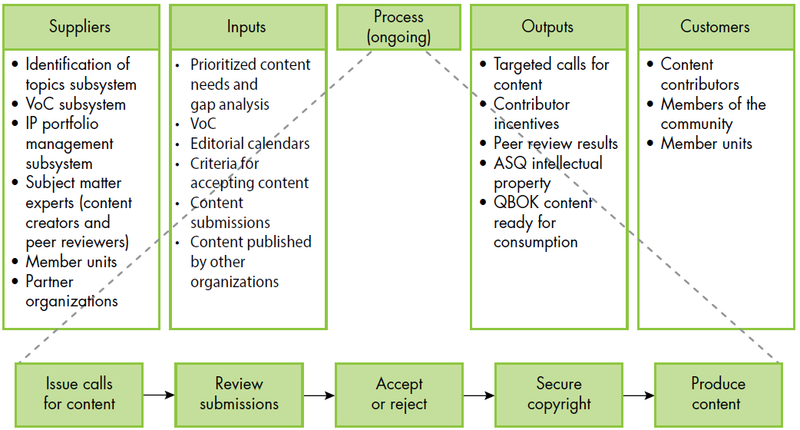 Contact knowledgecenter@asq.org for help with your recruitment, copyright, and development questions.